Have I told you lately how much I love my Silhouette Cameo? 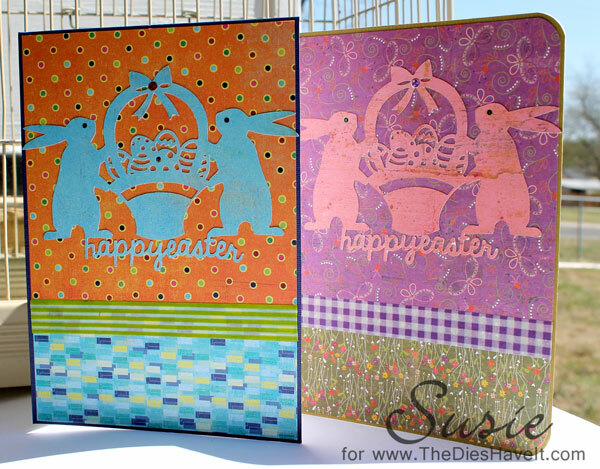 I needed two quick cards to send to my grandchildren and these were SUPER quick. I chose a cut file from the Silhouette Store and two pieces of Basic Grey papers later, I was ready to roll. 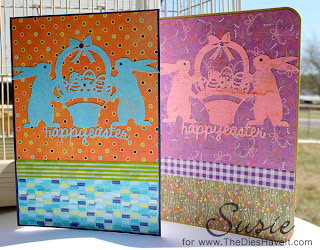 Washi tape in the middle of each card was the finishing touch to these 5x7 cards. So Happy Easter x 2! !